Montpellier Aiguelongue 2 steps from the faculty Paul-Valery, a flat crossing T3 of 62m ². Historic centre of Montpellier The eighth city of France and a large university centre, Montpellier, despite everything, has managed to retain its southern charm. It has to be said that its proximity to the Mediterranean and annual sunshine hours bestow it with a good quality of life. As for its architecture, medieval streets of the historic quarter rub elbows with classic squares and post-modern districts, including the extraordinary Antigone quarter designed by Ricardo Bofill. It is a young and lively city where it is good to bask on the many cafe terraces or on the famous esplanade of Peyrou. 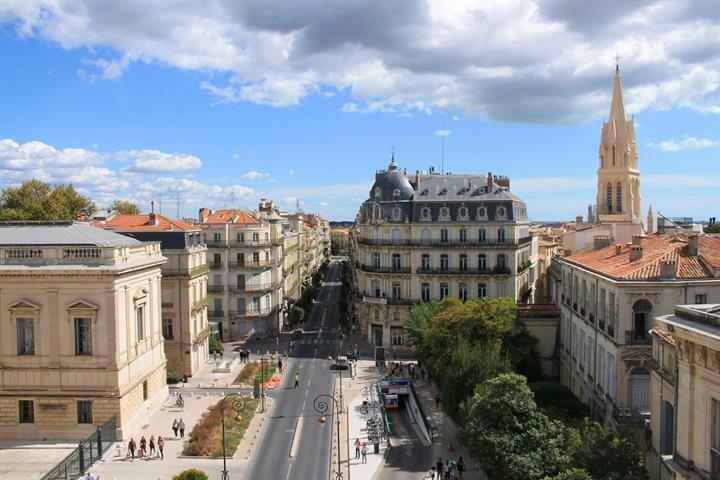 Be aware, however, that the real estate market in Montpellier is very rich and offers a considerable number of apartments of all sizes and price ranges. Without mentioning the detached houses for sale nearby. Investing in Montpellier could be a lucrative idea, given the number of students and tourists who come there.